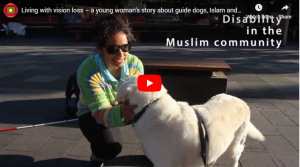 Stigma against disability is strong in some communities, and can stop people from accessing services for fear of facing their community’s disapproval. 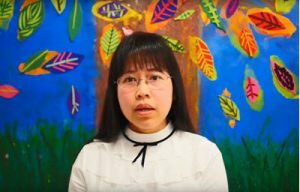 In this video, a Vietnamese mother talks about her son’s condition and shares her experience of overcoming discrimination to help him access the best support available. 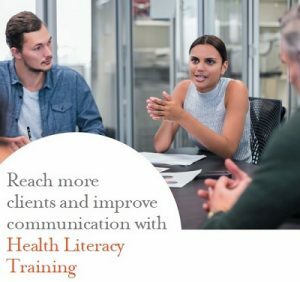 This brochure helps outline our online training. 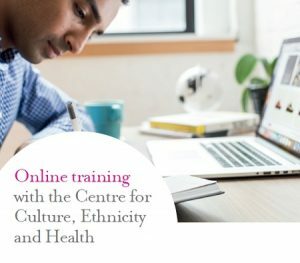 CEH offers eLearning in both cultural competence and health literacy. Our eLearning combines the latest research with fun, interactive activities that let learners practice their skills in real-world scenarios. Your staff can learn on a smartphone, tablet or computer, allowing maximum flexibility. 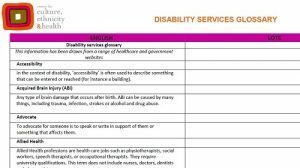 This information has been drawn from a range of healthcare and government websites, to assist with the provision of disability services. 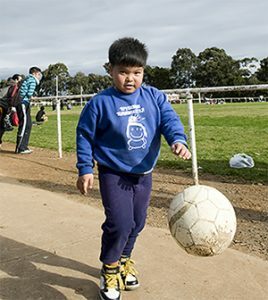 This resource was developed in consultation with newly-arrived Syrians and Iraqis living in the Hume & Whittlesea area. This glossary is designed to help you understand the technical terms related to child, family and relationship services in Victoria. The CEH has developed three glossaries, translated into seven languages, to help our community when they are seeking to use services in Victoria.